That was quick! 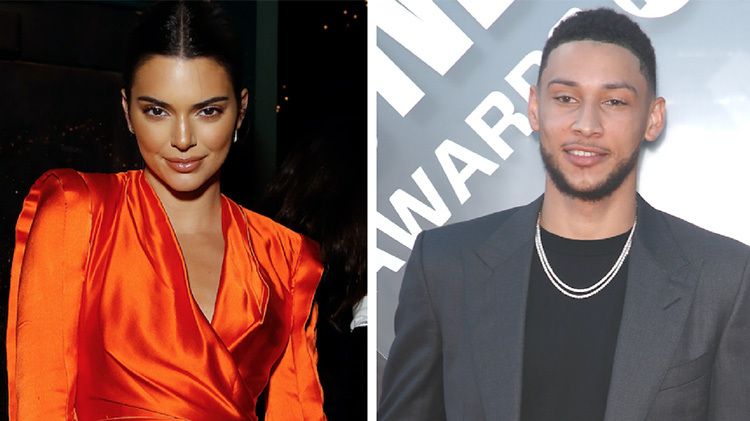 Kendall Jenner and Ben Simmons are reportedly living together and we're shook AF over it. TMZ reported that the pair have been caught coming in and going out of the $25,000 per month LA pad, which is a clear sign that they are both shacking up there for the time being. The publication reported that the apartment is "ultra modern" and it's being leased for several months at the moment. It has five bedrooms, six bathrooms, a pool, and is located near the Grove — which is a super trendy hotspot in the LA area. While it's unclear whose name is actually on the lease, this is solid evidence that Kendall and the NBA star might be more than just friends. Shockingly, the news comes just weeks after the 22-year-old model was seen making out with Gigi Hadid and Bella Hadid's brother, Anwar Hadid, in NYC. Rumors swirled that the pair were dating, but sources told TMZ that was false. Kendall and Anwar were simply having fun in the Big Apple and there was no bad blood between her and the Hadid sisters. The only question left is: when will Kendall and Ben make things official? Kenny is notorious for keeping her relationships on the down low. She actually keeps so quiet about her love life that fans recently suspected that she was gay. After confirming that she doesn't have "a bixsexual or gay bone" in her body, she chalked up the rumors to the way she acts around guys compared to the way her sisters act. "I think it's because I'm not like all my other sisters, who are like, 'Here's me and my boyfriend!'" she told Vogue in March. "So it was a thing for a minute because no one ever saw me with a guy. I would always go that extra mile to be low-key with guys, sneaking around all the time. You don't want to, like, look crazy." Seems like she's sticking to this sneaking around tactic with Ben. Only time will tell if their love is real and they decide to go public with the romance. Fingers crossed!